Home Tech What is DTH And when it will Launch in Pakistan ? What is DTH And when it will Launch in Pakistan ? What is DTH service ? 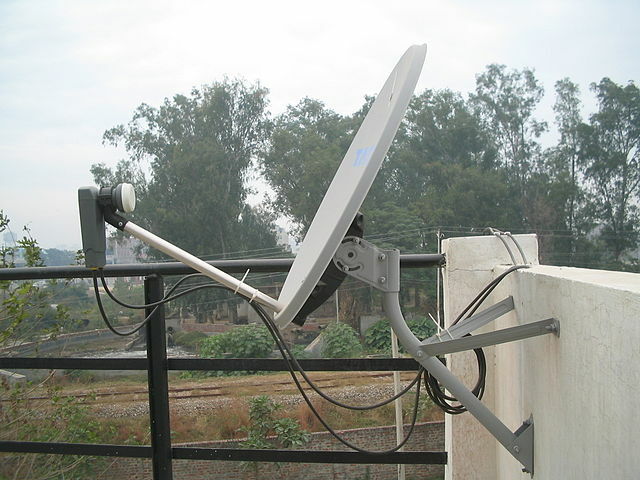 The Direct-To-Home (DTH) service is a digital satellite service that provides television services direct to subscribers anywhere in the country. Since it makes use of wireless technology, programs are sent to the subscriber’s television direct from the satellite, eliminating the need for cables and any cable infrastructure. This is particularly valuable in remote and difficult to reach areas where cable and in many cases, terrestrial television services are poor or non existent. DTH services also provide the finest of picture and sound quality which is considered to be second to none worldwide. Now surround sound, home theaters, live concerts and daily television programming are all delivered to your home with the same quality as any modern movie theater . Dynamic Program Packages to choose from. You only pay for what you want to watch. It not an all or nothing proposition like most cable are Premium Channels, your choice, selectable anytime by a simple call to Customer Service of that dth system. DTH service provide Advanced Viewing Control Features like the Electronic Program Guide (EPG) which provides you with the current and next program on all channels. DTH service also have Parental Lock which safeguards your children’s viewing options, and Pre-booked Pay-Per-View . The successful bidders for the three licences were MAG Entertainment Pvt Ltd, Lahore, with the bid of Rs4.91 billion, Star Times Pakistan Communications Pvt Ltd, Islamabad, with Rs4.90bn, and Shahzad Sky Pvt Ltd, Islamabad which bid Rs4.89bn. This channels are the expected channels on Pakistan DTH . Pakistan Dth service will start in the end 2017 . The consumer equipment consists of three primary components; the TVRO, STB and middleware. DTH systems typically use Ku-band capacity. One benefit of this is the ability to use small TVRO sizes; usually less than 1m in size, and often in the order of 65 cm. In addition to the reflector (dish), another key component of a TVRO is the LNBF (low-noise block down converter with attached feedhorn). The feedhorn is positioned at the focal point of the antenna dish and, as the name implies, is shaped like a horn. The feedhorn directs the received RF power to the LNB. The LNB has two basic roles; amplify the very weak signal and down convert a block (band) of satellite frequencies. The amplified and lower frequency signals at the output of the LNB can be routed to the indoor STB using cost effective cabling. Ideally, all desired content is available from one satellite. However, capacity requirements may require a service provider to use multiple satellites. Installing multiple TVROs is generally not practical for users. This has led to the development of multi-satellite TVROs. These are antennas with a single reflector but multiple LNBFs. The combination of reflector shape and LNBF positioning enable the TVRO to receive signals from multiple satellites. Home installation kits and guidelines are usually available for mounting and aligning the TVRO and LNBFs, but this task may best left to trained personnel, especially for multi-satellite systems. The STB has a number of functions. It demodulates the satellite signal that has been converted to a lower frequency care of the LNBF. The resultant digital signal contains the multiplexed content and entitlement messages, but in a scrambled form. To decrypt the content into a clear/viewable format, the STB must contain a CA module associated with the applicable service provider’s CA system. This CA module will then decrypt the entitlement messages, recover information on what content the STB is licensed to decrypt, obtain the appropriate CW (decryption keys), and use this for content decryption. The resultant unscrambled content can now be decoded from MPEG2 or MEG4 to a signal that is received by a TV monitor. There are a number of methods for including a CA module into a STB. It can be installed in a STB at time of manufacture, or can be a removable module. A removable module provides some flexibility for STB deployment at the expense of having to manage the removable CA medium. One standard-based method uses smart cards, which plug into an interface on the STB. The standard for this is the DVB Common Interface (DVB-CI). The smart card is effectively an external module containing the CA system processing. Middleware is the part of the system that sits between (in the middle of) the raw digital content coming into the STB and the information displayed on a TV to the viewer. The middleware, for example, provides an interactive program guide to the viewer. The program guide displays available channels for the viewer to scroll through. The middleware also provides a means of selecting pay-per-view content (movies and special events). This latter function requires that a method is available for the Service Provider to interact with the customer and track usage. A simple, but operational intensive approach, is to have the viewer call the service provider to enable the program. A more effective method could be, for example, to have the STB automatically connect over a telephone line or Internet connection.